Recently-Approved Federal Dollars will Help Commercial and Recreation Fishing Industry Rebuild. Albany, NY - May 20, 2013 - Governor Andrew M. Cuomo today urged coastal fishing businesses harmed by Storm Sandy to apply for available funding through the State’s recently approved Coastal Fishing Industry Grant Program. Under the program, eligible businesses will be able to apply for grants of up to $50,000 to cover uncompensated losses. Fishing businesses can apply now by going to http://nysandyhelp.ny.gov/sites/default/files/documents/coastal-fishing-... or calling 1-855-NYS-SANDY. Fishing businesses that suffered damage and/or economic hardship as a result of Hurricane Irene or Tropical Storm Lee are also eligible for funding through the program. The $20 million program, designed to help the fishing industry recover, was part of the State’s Community Development Block Grant Disaster Recovery Action Plan, which gained federal approval last month. 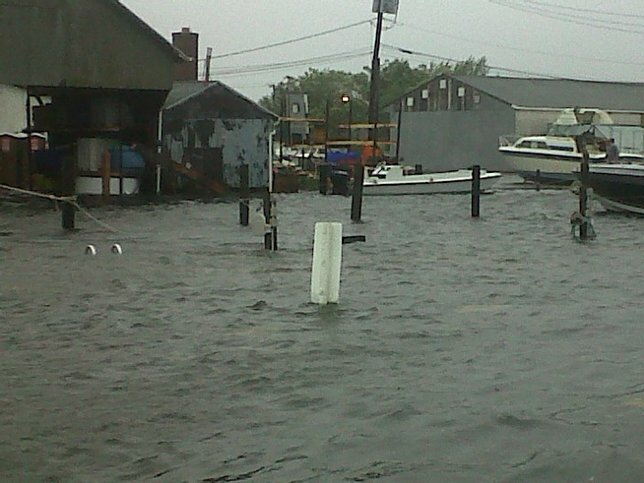 Storm Sandy caused significant damage to the fisheries along New York’s coastline. It is estimated that damages to the coastal fisheries industry totaled $77 million ($58 million to the State’s recreational fishing sector and $19 million to its commercial fishing sector) due to Sandy. “Our marine recreational fishing industry got knocked to its knees following Sandy, but we’re coming back strong for the 2013 fishing season, and these grants can help ensure that we’re stronger than ever in the seasons ahead. New York saltwater anglers and marine business owners are really appreciative of the strong leadership and support that Governor Cuomo and his staff have provided following Sandy, and especially with helping expedite this grant process,” said Jim Hutchinson, Managing Director of Recreational Fishing Alliance, President of New York Sportfishing Federation. “The NY recreational fishing industry was hit hard by Sandy, and we have a long road to recovery ahead. Some are rebuilding from the ground up, many are struggling to get through difficult financial times, but ALL are resilient and determined to rebuild NY’s fishing communities. As the weather warms and the headlines fade, those not in the trenches may forget how much work is still to be done. It is so encouraging to know that Governor Cuomo and his staff have not forgotten us and are still working hard to get the financial assistance the recreational fishing industry so desperately needs. These grants are a first step towards that goal,” said Melissa Dearborn, Vice President, Regal Marine Products. In 2011, the State’s commercial fishing industry generated $5 billion in sales, contributed $1.8 billion to gross state product, and supported 42,000 jobs across the broader economy. The State’s marine recreational fishing industry generated $369 million in sales, contributed $212 million to gross state product, and supported 3,000 jobs across the broader state economy. “Recreational and commercial saltwater fishing is one of the many great treasures of Long Island. It’s part of our history, and for many, it’s a way of life. One of my top priorities in office has been to work with Governor Cuomo, my legislative colleagues and our fishermen on Long Island to improve this industry. Following the recent elimination of the Saltwater Fishing License Fee, I applaud the Governor for building on several different steps forward by implementing the Coastal Industry Grant Program, which will help our fishing industry recover from the devastating effects of Superstorm Sandy,” said Senator Lee Zeldin. “The recreational fishing industry provides close to 10,000 jobs, so it’s important that this critical aspect of the overall marine-based economy is back up and running this season. From the staff at the New York Department of Environmental Conservation on Long Island all the way up to Albany, there has been a great deal of effort put into getting our local marine-based economy moving again after the devastating impacts from "Sandy. This unprecedented support and recognition of the value of our recreational fishing industry is gratefully acknowledged and gives us optimism for the future," said John Mantione, Spokesman, New York Fishing Tackle Trade Association. “NY Sea Grant remains concerned about the ongoing effects of Hurricane Sandy on our most severely impacted coastal residents and communities. Sea Grant staff has been working closely with the fishing industry, NYS DEC, and other government agencies to assist in the relief response effort. We are encouraging small coastal business owners to participate in Governor Cuomo’s programs designed to assist in recovery and rebuilding, by asking them to visit the website or contact our office to determine how best to access these resources. NY Sea Grant is committed to working together to bring anglers back to the shore and help revitalize coastal communities,” said James Ammerman, Director, New York Sea Grant. Fishing businesses may be eligible for additional grants and funding support through the State’s small business recovery program should uncompensated losses exceed $50,000, or for special mitigation grants to help them prevent similar damage from future storms. Subject: LongIsland.com - Your Name sent you Article details of "Governor Announces $20 Million in Grants to Sandy-Impacted Fishing Industry"